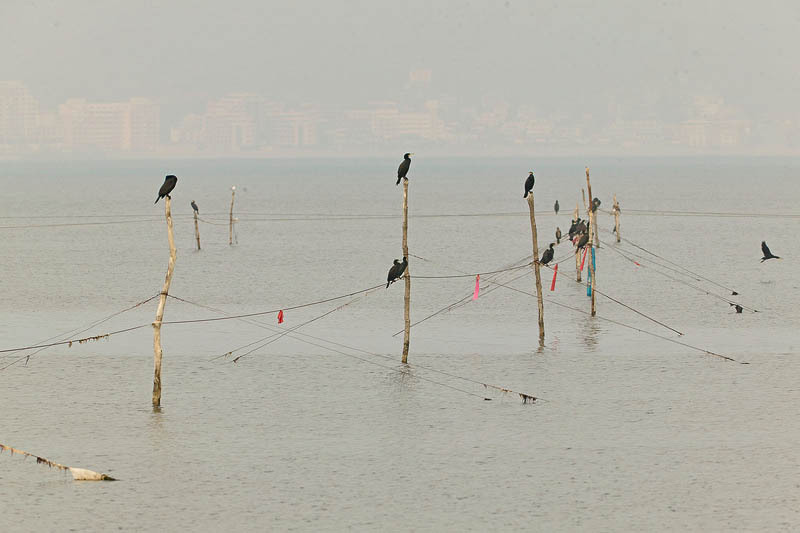 Scenery of wild birds of prey in sea water and resort complex buildings on shore in distance. Wildlife. Wild animals in nature.